35,000 capacity, including 300 private boxes. Aside from football, there's retail complex, hotel, medical centre, football academy and more planned. Contractor is already announced. Earlier this week the Mexican city of León along with local Liga MX team presented early plans for a brand new stadium in the city. 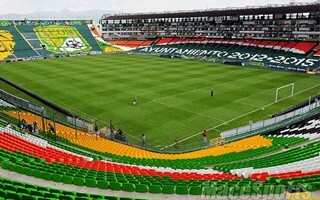 Following prolonged legal dispute over the aging Estadio León, decision about building from scratch is basically the only option. Now we know what and where should be built. 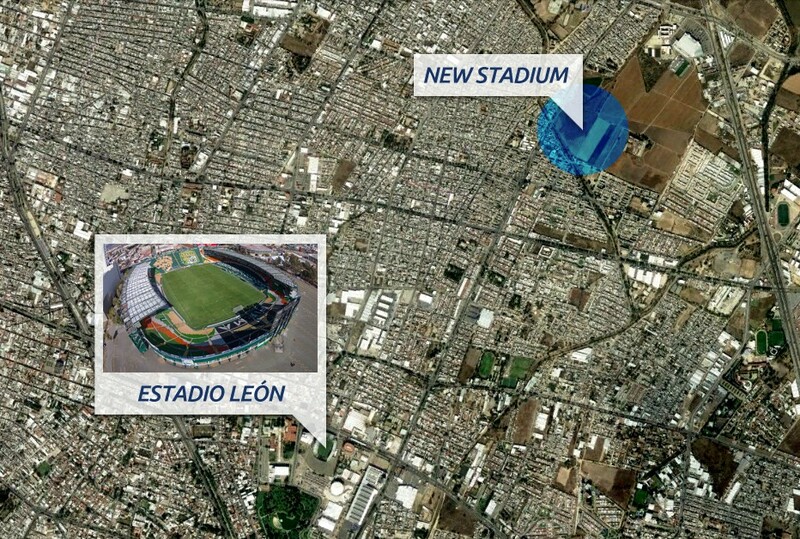 The plan by both the city and football club owner Grupo Pachuca envisages the stadium in the north-east of the city, as shown on the Google Earth map below. While further away from downtown than the old ground, the selected plot along Calle Río Nilo offers far greater space and opportunities. That's why far more than a new football stadium is planned. The stadium itself will hold some 35,000 people, including 300 private boxes. Along it a hotel, medical centre, shopping centre, football university and other secondary uses, primarily leisure. The project, while still with no detailed concept revealed, is to be delivered by Manhattan Construction Group, one of USA's largest contractors of such projects, with AT&T Stadium in their portfolio, among other. However, in Mexico there are guarantees that the US company will only use Mexican labour and local materials.